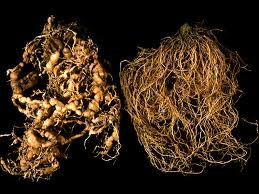 Root knot nematodes are tiny parasitic worms that feed on the roots of vegetable plants. Nematodes thrive in hot, sandy soil, and they fiercely attack tomatoes, peppers, squash, melons, and most other garden vegetables. These microscopic parasites are one of the greatest enemies of South Texas gardeners. Nematodes are especially frustrating because they reveal themselves only through the damage they do to your plants. To diagnose a nematode attack, look for the above-ground symptoms: yellowing, wilted plants; stunted plant growth; and poor yields of small misshapen fruit. The damage may begin in one part of the garden, but nematodes quickly spread through the soil, on garden tools, or even on the soles of your boots. Nematodes increase with the heat and are most destructive in the hottest weather. If you dig up a wilted diseased-looking plant, you may find knots, or galls, on the roots; this is the clearest indication of nematodes. The extent of damage to vegetables depends on the density of nematodes in the soil. One nematode can lay between 500 and 1,000 eggs, and they rapidly reproduce new generations. Nematodes simply overwhelm plants with their numbers. The best solution to nematodes is to prevent them in the first place. Nematodes have trouble getting a foothold in healthy, humus-rich, well-mulched soil. Healthy soil stays cool in hot weather and conducts water efficiently to the roots of plants. Healthy soil is a hostile environment for nematodes. Good crop rotation is essential in preventing nematodes–no matter how big or small your garden. Nematode eggs can survive in the soil for a full year, and they love to eat the same types of roots as the previous year. Divide your garden into three or four quadrants, and rotate your plantings to confuse nematodes and increase the bio-diversity of the soil. To eradicate a severe infestation of nematodes, plant a thick cover crop of French marigolds on your garden and till the flowers into the soil. Marigolds are excellent for soil health, and they produce a toxin that is deadly to nematodes. 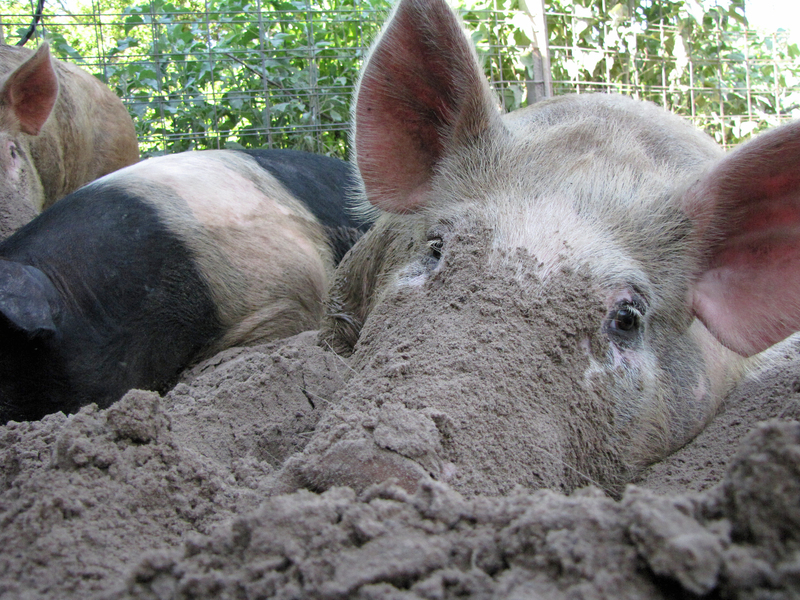 On our farm, we fight nematodes by pasturing pigs on our gardens after each harvest. The porkers consume the entire network of roots from the garden and transform those roots into powerful fertilizer. This process destroys nematodes while building extraordinarily healthy soil. Nematodes are responsible for a lot of damage to South Texas gardens, but you can easily control them through good gardening practices. A healthy garden is the best cure for nematodes and for most other garden pests as well. thank you very much for your info on nematodes. As usual, excellent info! Thanks for your ongoing efforts to help us all to greater gardening success, Justin! Thank YOU Frances and Lisa! I would love to see a topic on pastured hogs. Just like the one one pastured poultry, it would be great information we could use. Hello Tyler! I will do something on this, and show the process we use for rotating porkers through gardens and forest. Thanks!